Two weeks ago I was fortunate to be able to join an amazing group of bloggers, for a photography retreat, Click Blogger Retreat, organized by Today’s Mama. The retreat was held aboard the Oasis of the Seas, one of Royal Caribbean’s newest ships and the largest ship cruising the Caribbean. 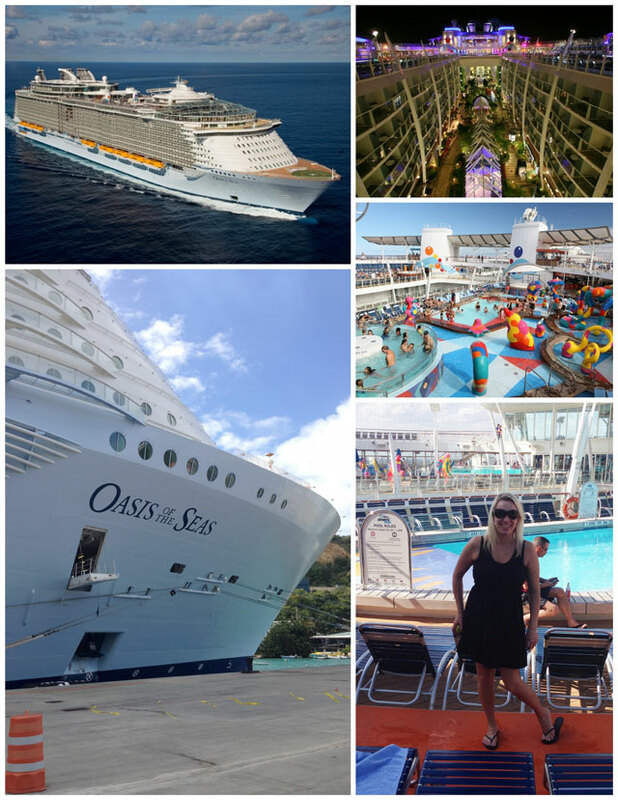 We spent 7 days aboard the gorgeous mega-ship with a fun pool area up top, a quiet sheltered Central park in the center of the ship, and a large outdoor boardwalk area where I bought ice cream most nights. My roommate was Nicole, who blogs about food at Wonky Wonderful. We knew each other online, but this was the first time we met, and we became fast friends. In fact, I made so many wonderful new friends on this trip. We laughed a lot, and just enjoyed hanging out getting to know each other, and sharing blogging tips. There were several sessions about photography, as well as sessions on how to get your posts noticed on social media. Professional photographers, Me Ra Koh, Brian Tausend, and Amy Kawadler taught the sessions, as well as being on hand to help us improve our photos as we toured the beautiful Caribbean islands. 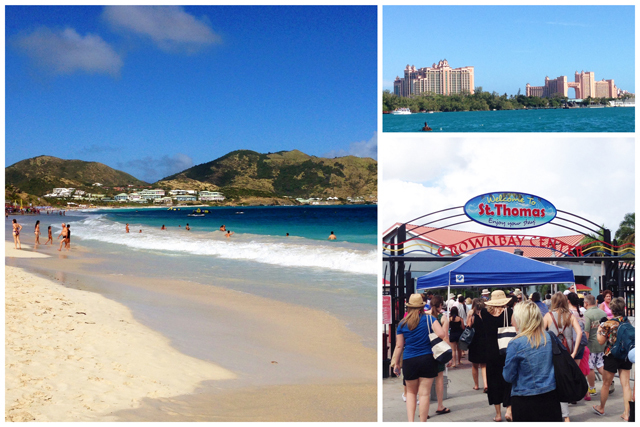 We visited three tropical islands, and Royal Caribbean treated us to excursions on each island. In Nassau we spent the day at the fabulous Atlantis resort. On St. Thomas, we took a tour of the island and spent the afternoon at Magens Bay swimming in the beautiful blue Caribbean water. 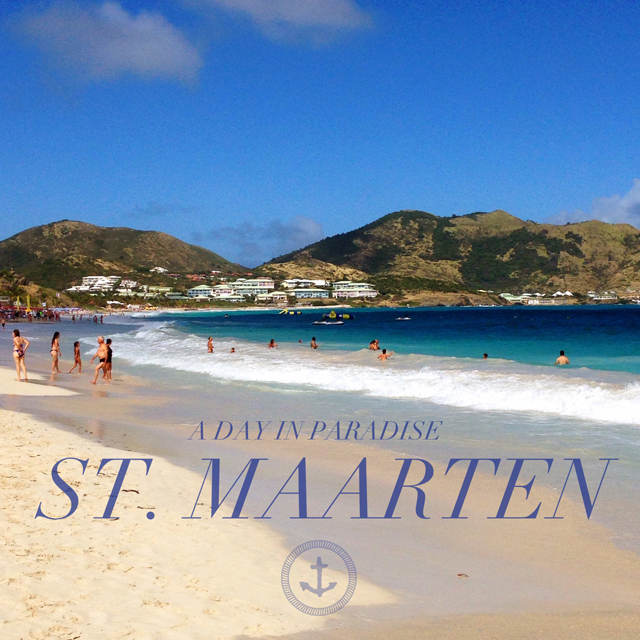 Our final stop was the stunning island of St. Maarten where we visited both Orient Beach and Le Sand Beach where we were treated to a 5-star lunch, which included my favorite dessert of the trip, a luscious apple tart. In addition to the excursions, we were treated to special lunches and dinners at various premium restaurants throughout the cruise. We were even given a private tour of the ships’ galley. 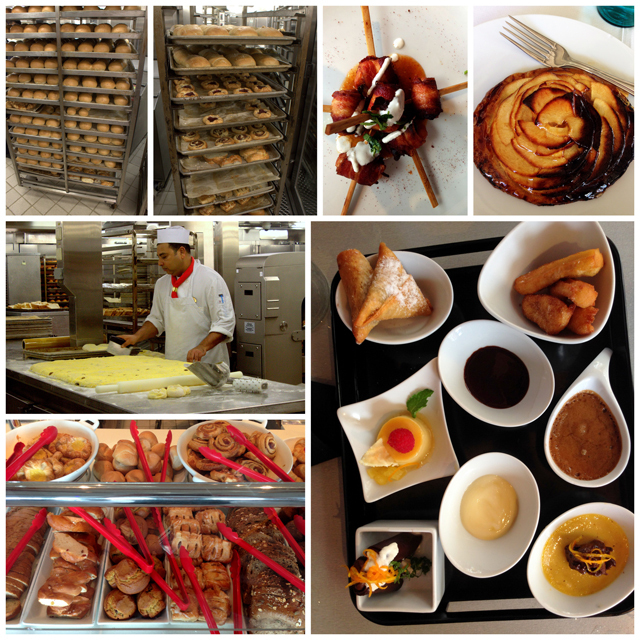 Since many of us were food bloggers, that was a special treat to learn their inside secrets. It was a fabulous week and I owe a big thank you to all the Click Retreat Sponsors. Use the links to check out their sites and learn more about them. Royal Caribbean – I’ve been on 7 cruises now, but this was my first time cruising with Royal Caribbean. The staff on the Oasis were top notch and I really enjoyed the adults only Solarium on the ship. I would love to cruise on the Oasis again one day. Southwest Airlines – we flew as guests of Southwest Airlines, and they took great care of us. I was impressed with their efficient service, clean planes, and on time flights. I was so impressed in fact, that when I returned home and my sister asked me to book a flight for her to California, I picked Southwest because of their no change fee policy and 2 free bags. Patron – treated us to cocktail parties and a fabulous lunch at the premium restaurant Sabor. blurb – an easy way to self publish books. Sabra – makes delicious hummus and other dips and spreads, hosted yoga and had fun products delivered to our staterooms. Studio – a fun app that let’s you easily add text to your Instagram photos. Chatbooks – an easy way to make inexpensive books from your Instagram pictures. Q sciences – sent us home with samples of their natural vitamins. Del Sol – had shops which sold fun color changing products at the ports we visited. They sent us home with a fun color changing beach bag. PubExchange – a company that helps bloggers share each others posts on our sites. You can see the new PubExchange widget on my site right about my comment box. A Portrait of Italy with Me Ra Koh – If you dream of touring Italy and learning how to take amazing pictures while you’re there, this tour is for you. Thrive Market – a new online warehouse style market that let’s you skip the crowds and have the groceries delivered right to your house. We were given a free one year membership and a $50 credit on our first purchase. Tomorrow I’ll post the first of three recipes inspired by foods I ate on the cruise that I was crazy about and I think you’ll love as well. 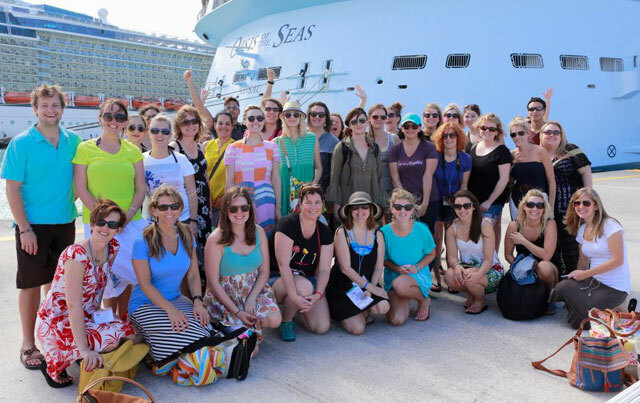 So tell me, have you ever been on a cruise or a retreat with friends? Would you like more information about a Caribbean Cruise with Celebrity Cruise Lines? Disclosure: This is sponsored by Celebrity Cruises, but all opinions expressed are always my own. Pingback: Royal Caribbean's Coconut Ranger Cookies - Chocolate Chocolate and More! You lucky duck! When I used to be a travel agent, back in the day, I got to take more than a dozen free cruises. It’s the ultimate in luxury and relaxation. You always take great photos, but it never hurts to learn new tricks. It looks like you had a fabulous time. You are such a seasoned traveler, I’m so jealous of all of your excursions. Keep on truckin’! What an amazing trip we had and what a pleasure to meet you friend! 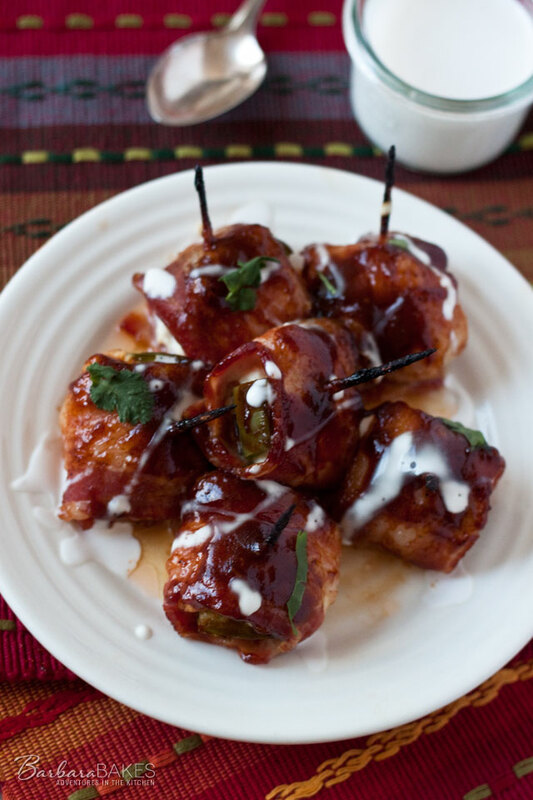 Your blogs are beautiful and I can’t wait to play with my pressure cooker some more! I had such a wonderful time hanging out and getting to know you Barb!!! Can’t wait for a reunion!!! It looks as though you had an amazing trip, Barbara! I loved living vicariously through your Instagram photos. I’ve never gone on a trip for blogging. Hopefully I’ll get a chance to do that sometime. I went on a 5 day cruise once a long time ago. Wow, what a wonderful retreat! I was on the site looking for other trips in the future. Would love to do something like this. You should definitely go to one Lisa. I loved that is was just a small group, so it was perfect to network and really get to know each other, as well as learn. You always do such a good job of praising/thanking the places you visit, and those who have taken part in things. It was great to share the pictures, the comments about what you shared in. It is great to see everyone here in California, lol. So far things are holding out ok, no baby. I do agree about Southwest, I was very impressed with the plane. The crew were so cheerful, making us laugh with their humor. It was such a wonderful trip – I want to go back with EVERYONE!!!! It truly was an amazing experience. We laughed so hard that one night at dinner, I couldn’t stop crying, Barbara! It was so wonderful meeting you – I can’t wait until we can do it again.